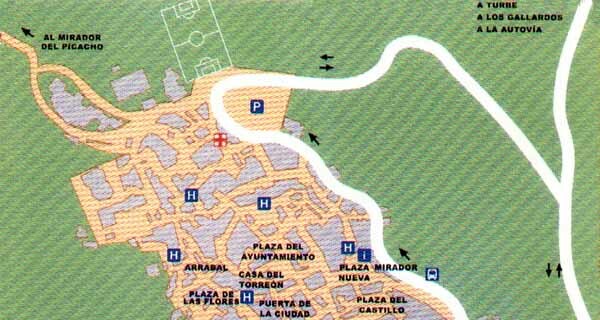 The best way to enjoy Mojacar if you are around the area, is to park your car in the parking lot situated near the football field (marked on the map) and enjoy the town, strolling through a labyrinth of narrow streets, a legacy of its Moorish past with white houses and beautiful landscapes. The 17 kilometres of coastline make this town a perfect place to enjoy our summer vacation with coves protected from wind or practising water sports. Mojacar and its inhabitants are the result of different cultures that have been intermingled over the centuries and have a friendly personality which makes visitors feeling just like a local. 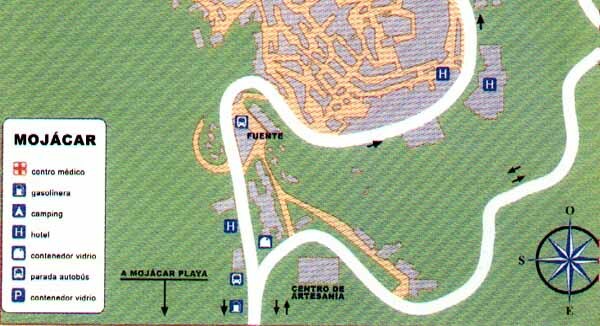 On the map you can see where are situated the main tourist spots in Mojacar, including the medical centre, camping, hotels and the direction to take to get to the beach or back to the highway.